Happy Monday and I wish anyone who reads this a blessed day. 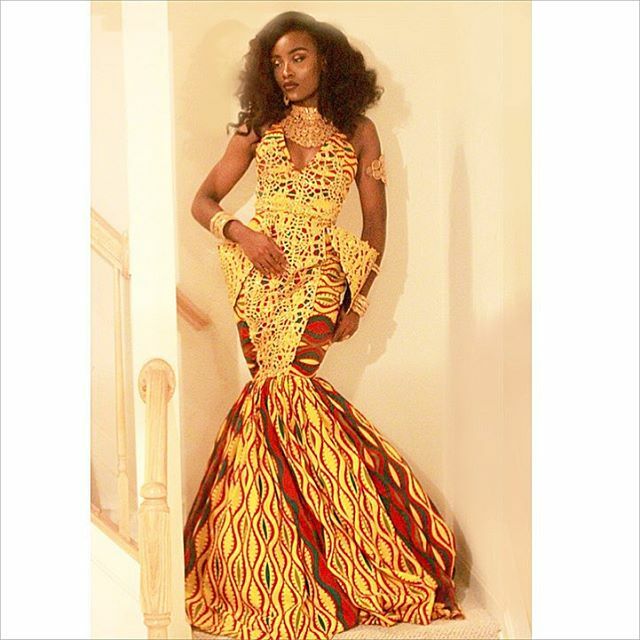 This fall is the season to standout and indulge in colorful unapologetic regal African fashion. Yes African fashion. Imagine that perfect midi dress dripping in our colorful fabrics, or that evening gown you are looking for, as regal as can be and in colors that will make you standout whatever the occasion. Whatever you choose, understand that fall has never looked so royal and of course, colorful. So over the weekend, the popular social media site, All things Ankara, hosted an event that was as decadent and colorful as can be. One thing that stood out for the night, was it’s woman of style, model Jesscia Chibueze. When Jessica stepped into the room, her evening wear was as breathless and as colorful as can be. She got the memo. If you going to be attending an Ankara ball, then you better step out in a fiercely designed outfit that would make people ask whether God is asleep because one of his angels is on earth. Jessica was as stunning as the dramatic jewelry she wore which will make any woman feel very confident. But it’s the royal dress that I want to praise today. As my love affair with African fashion continues, our luscious fabrics are so center stage for that rich and regal look that you maybe looking for. See, those plain looking cotton, or maybe even that expensive satin dress you have set your eyes on, pales in comparison to the Grandeur of our cloths. Our fabrics will turn anything, heck even a bra, into the seductive, statement piece that would make people ask the next question, who is your tailor or how can I get this outfit? Thankfully, Jessica was the model of night and she eloquently illustrated why our fashion is so sharp and sparkling, with unapologetic joie de vivre that is so worthy of praises, now and always. African fashion will always be a strong statement piece and of course a perfect excuse to show off your heritage. If you are in the US, we all look alike, buying the same black outfits, that makes us all blend into the crowd. Not Africa fashion. Jessica’s fashion at the ball lends a ladylike refinement to evening wear, daywear, heck all wears, for any lady interested in not blending with the crowd. 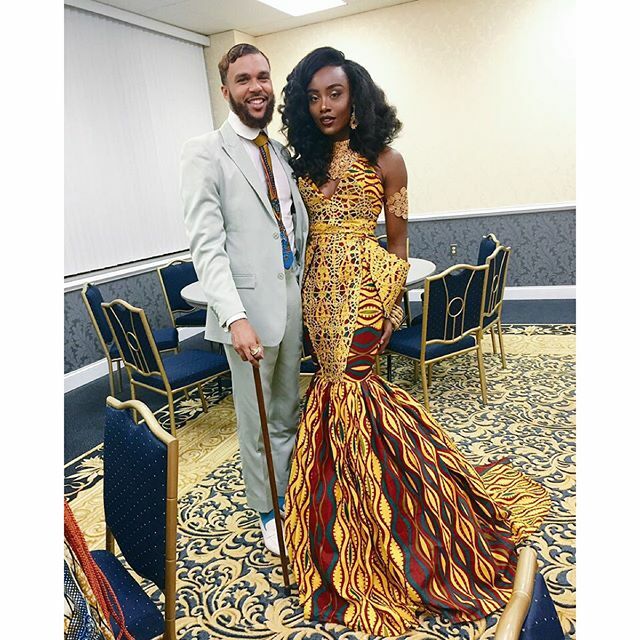 Her outfit’s take on evening wear a’la African fashion style, is perfect, and no woman can ever go wrong in as a body-skimming colorful fishtail dress that outlines your hips. Fall season calls for women and men who are not afraid to express themselves in unapologetic African fashion. It requires key statement pieces that are regal and will make you standout from the rest. This is not the season for the same old style, but it’s a season to be bold and confident as you dress for yourself. African fashion is one of those items that does not seek approval. It shows strength of character and the wearer is not only confident in her femininity, but she is not afraid to standout from the crowd in the same way Jessica did at the ball. So as for me, my mood this fall is to standout. African fashion will most certainly deliver.